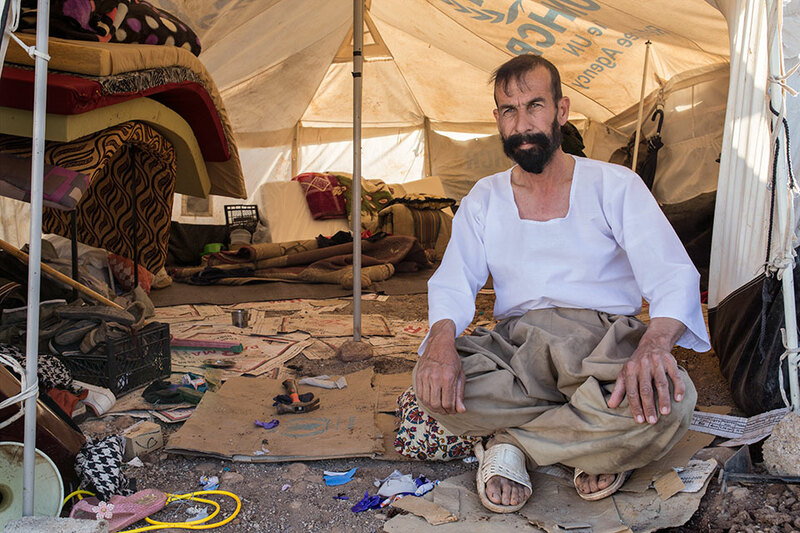 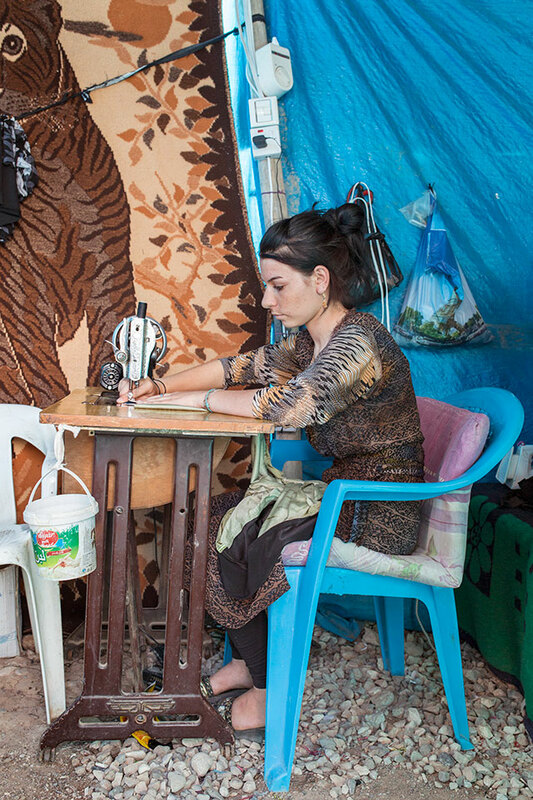 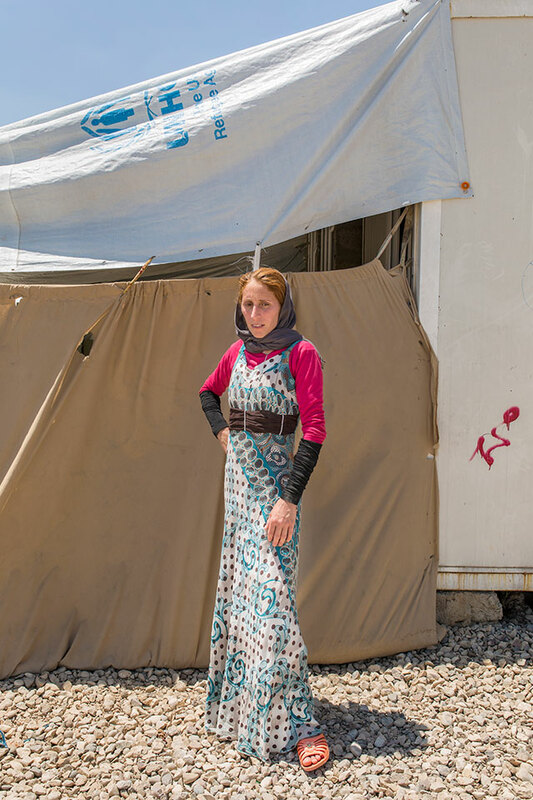 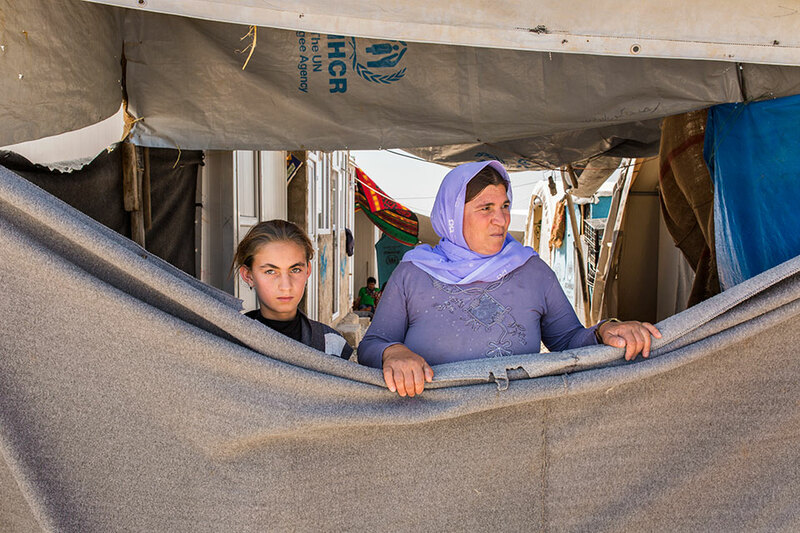 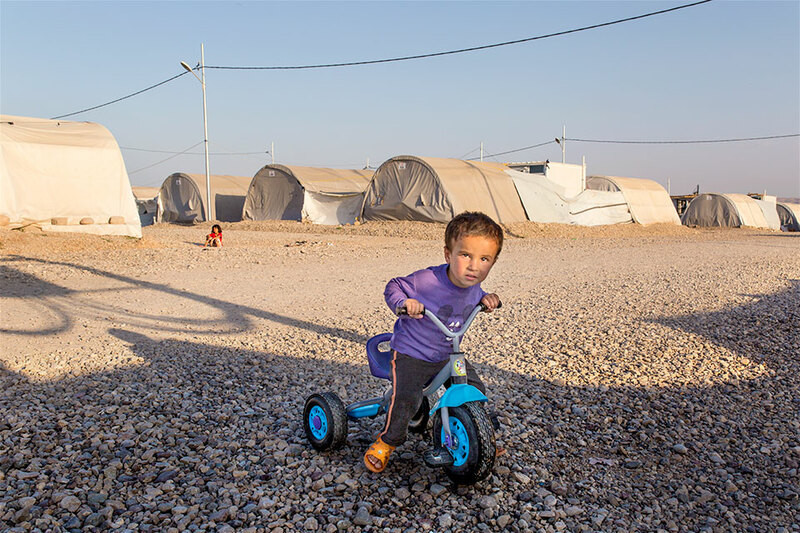 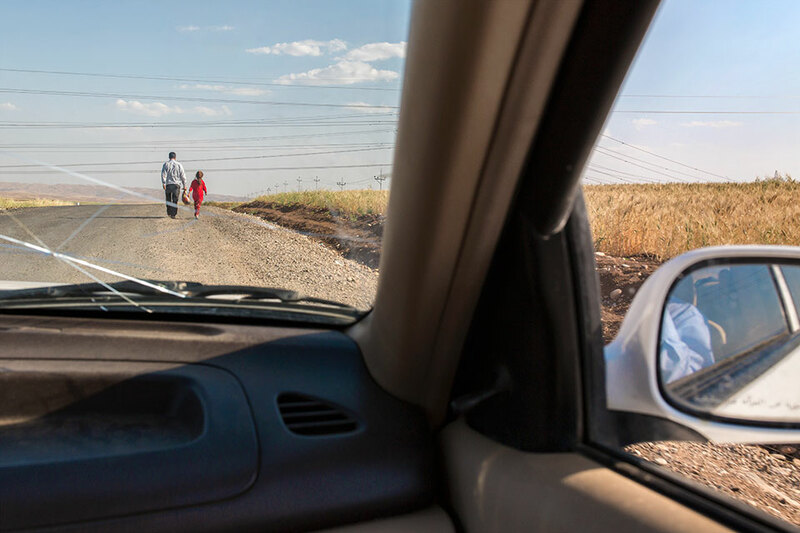 There are two million refugees and IDPs (internally displaced people) in the Kurdistan region of Iraq, displaced by a brutal conflict that shows no sign of end. 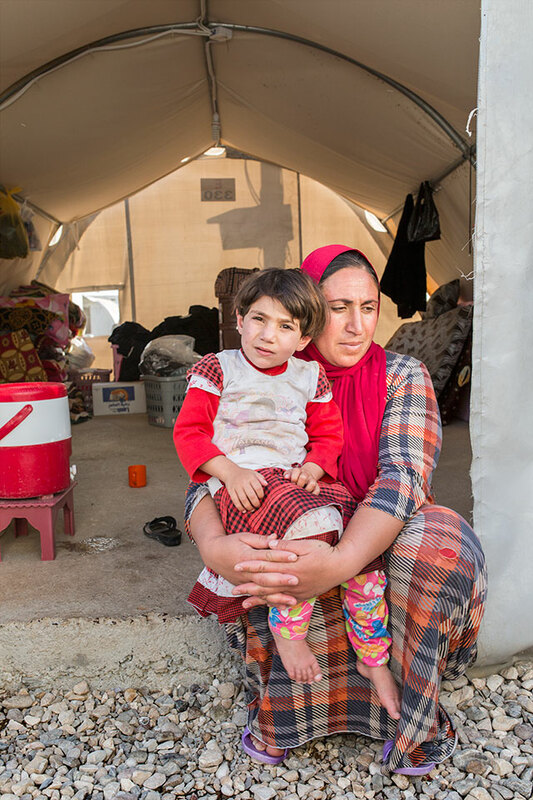 This number increases every day as people flee their homes. 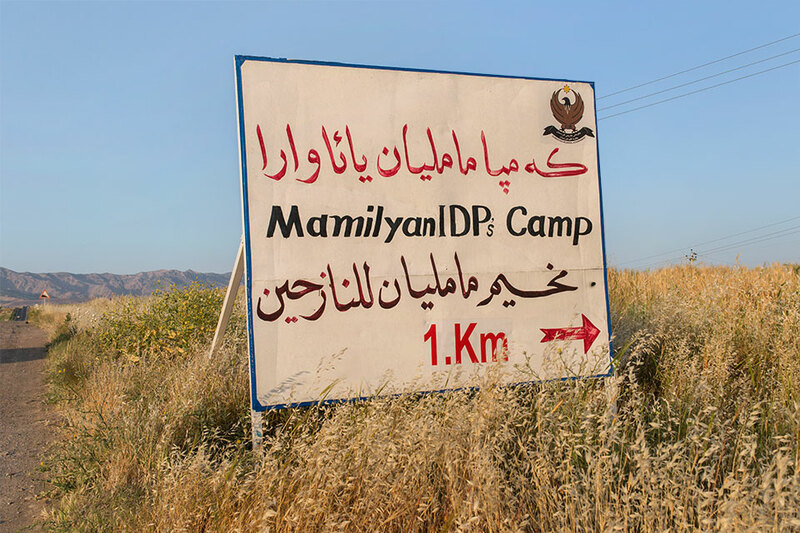 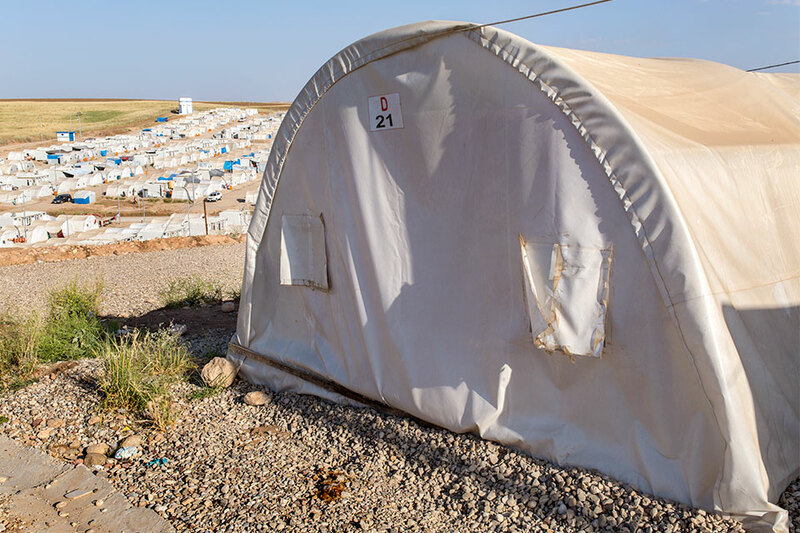 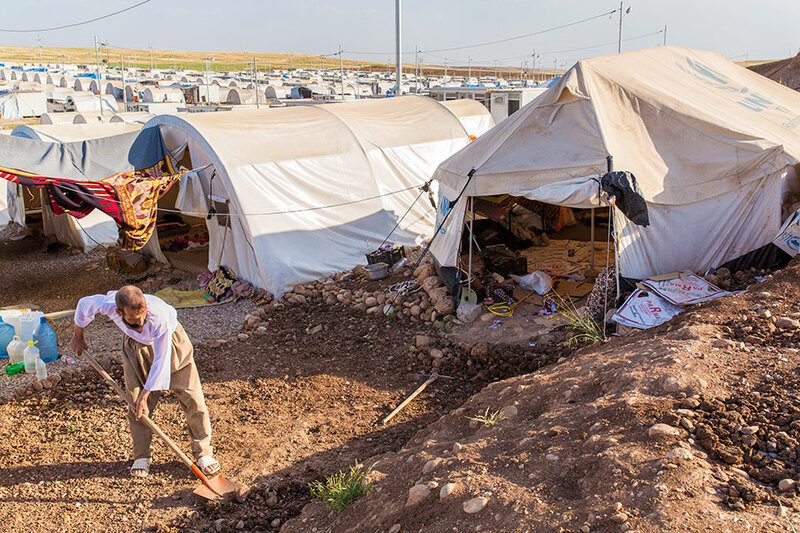 Mamilian IDP camp near Aqrah, Dohuk Governorate, houses 12,000 displaced residents of Mosul and the Nineveh plains. 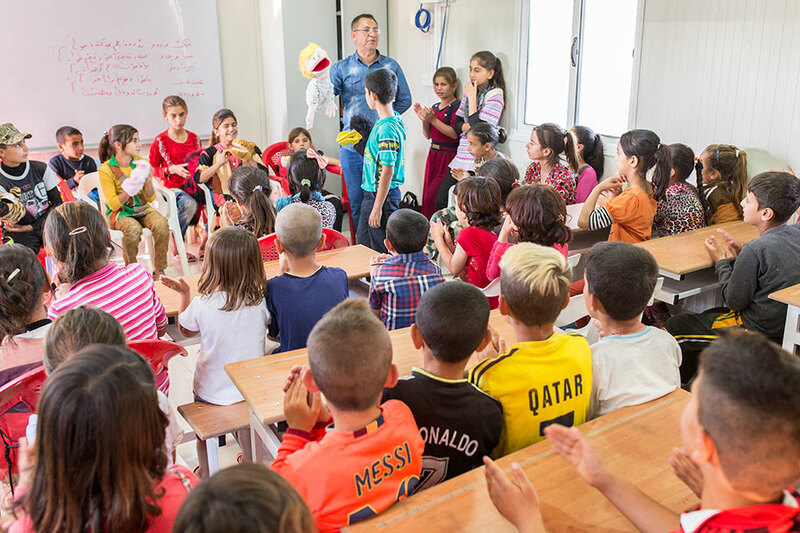 The camp has separate sections for Yezidi, Sunni and Shia families, but the children are taught together in mixed classes. 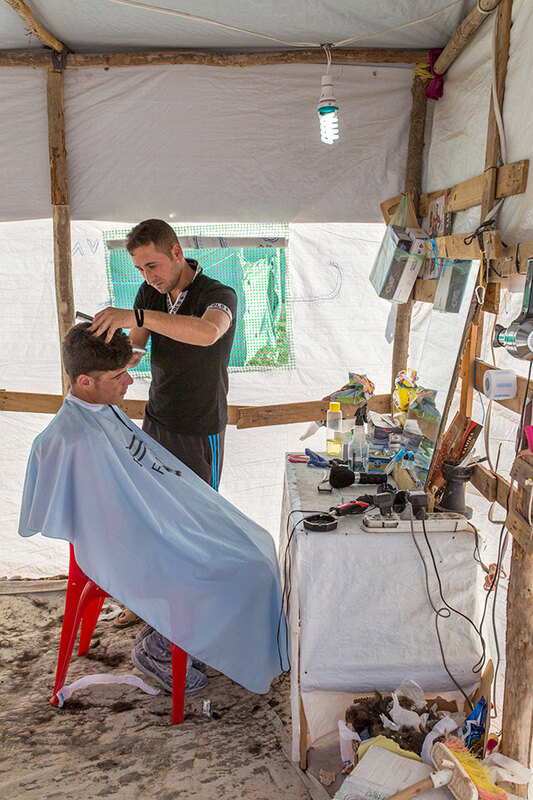 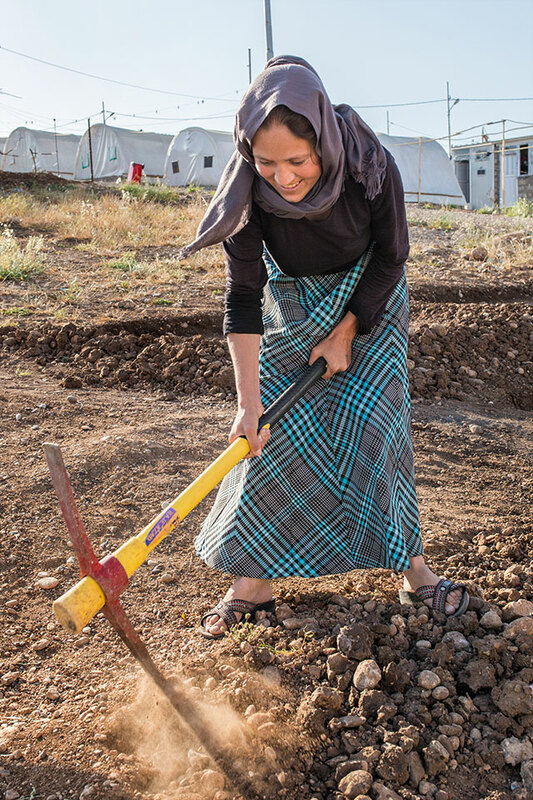 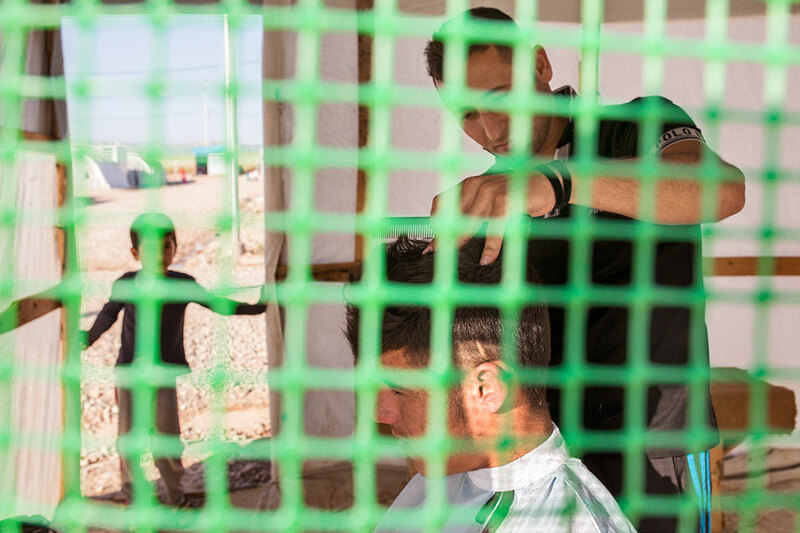 Residents are already irrigating the land around their tents and establishing shops, barbers and tailors. 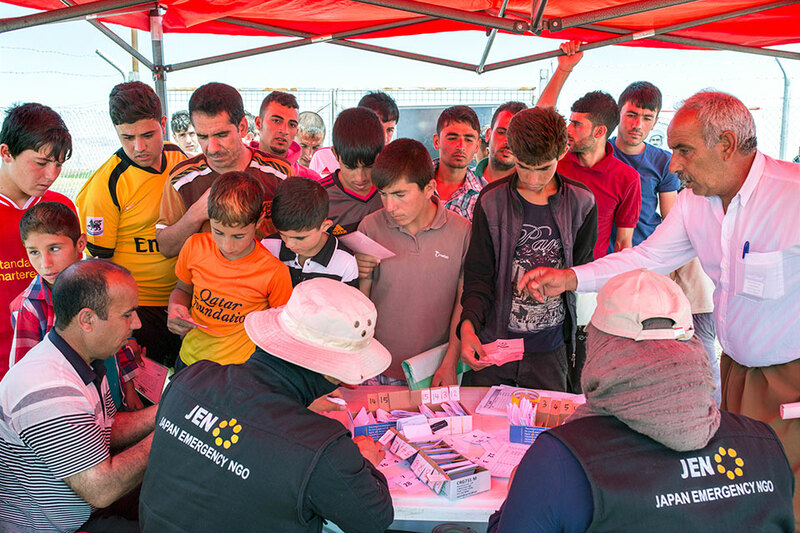 Food rations are provided by a Japanese NGO.